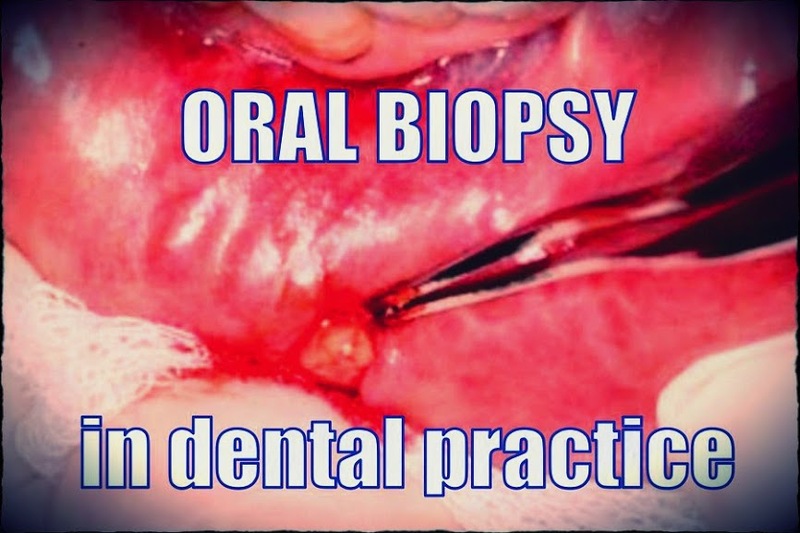 The conclusions drawn from the study of an oral biopsy are considered essential for the definitive diagnosis of diseases of the oral mucosa, and for the subsequent planning of appropriate treatment. Although the obtainment of biopsies is widely used in all medical fields, the practice is not so widespread in dental practice - fundamentally because of a lack of awareness of the procedure among dental professionals. In this context, it must be taken into account that the early diagnosis of invasive oral malignancy may be critical for improving the patient prognosis. However, in some cases the results are adversely affected by incorrect manipulation of the biopsy material. The present study provides an update on the different biopsy sampling techniques and their application. Such familiarization in turn will contribute to knowledge of the material and instruments required for correct biopsy performance in dentistry, as well as of the material required for correct sample storage and transport. The word biopsy originates from the Greek terms bios (life) and opsis (vision): vision of life. A biopsy consists of the obtainment of tissue from a living organism with the purpose of examining it under the microscope in order to establish a diagnosis based on the sample. The technique allows us to establish the histological characteristics of suspect lesions, their differentiation, extent or spread, and to adopt an adequate treatment strategy. Biopsies establish evolutive control of disease processes, and are able to document healing or relapse. In turn, the biopsy findings are of irrefutable legal medical value. A biopsy is indicated in application to any lip or oral mucosal lesions following the exclusion of local irritants (of traumatic or inflammatory origin), when the lesions in question are seen to persist for more than two weeks, and may be suggestive of malignancy. In general, lesions appearing in the oral mucosa should be explored and evaluated for the possible presence of local irritative factors.